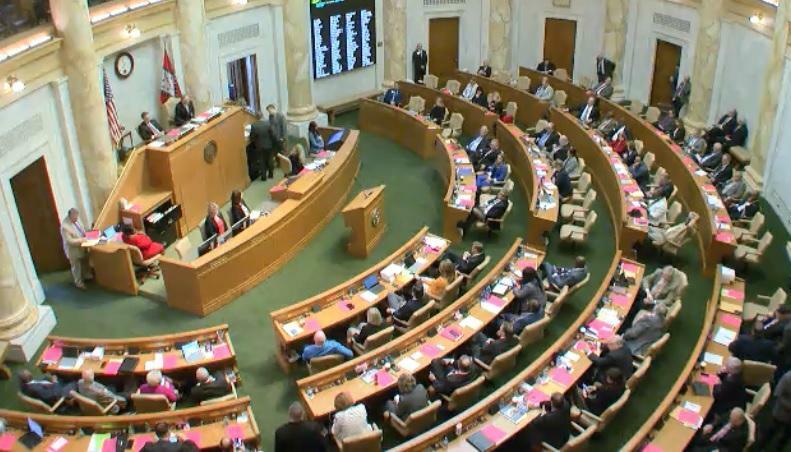 Arkansas House of Representatives on final day of 2019 regular session. ARKANSAS SANCTUARY CITIES LAW - The Arkansas House has passed legislation that prohibits state municipalities from adopting "sanctuary policies." Legislators voted 71-24 on Wednesday, the final day of the 2019 session. The vote comes one day after the House City, County and Local Affairs Committee passed the bill and two days after the same committee failed to advance it. 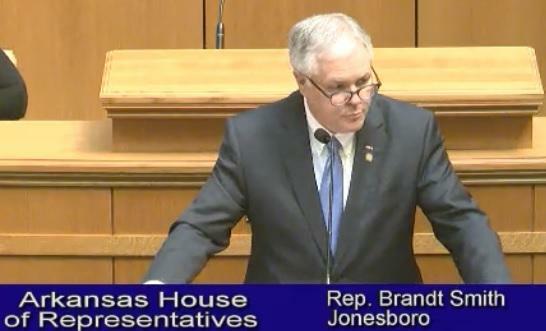 Although immigration is mentioned in five of the six definitions of bill’s "sanctuary policy," Rep. Brandt Smith, R-Jonesboro, who presented the bill to the House floor, said this bill was ultimately not about immigration policy. “Our immigration system is broken, but this bill doesn’t address immigration issues. That’s a federal issue. This bill addresses sanctuary status in the state of Arkansas,” Smith said. Smith also mentioned concerns that were brought up on the bill during committee, including the apprehension that this legislation could lead to lawsuits against the state.Rep. 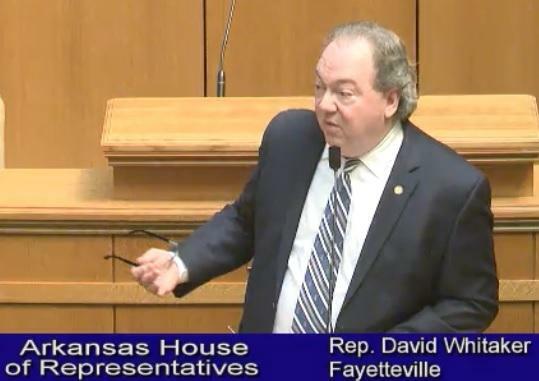 David Whitaker, D-Fayetteville, . said -- as a lawyer, he would only speak to his legal objections to this bill. "This short little bill is in my opinion facially unconstitutional because it’s too short. It lacks certain basic constitutional protections that our constitution requires," Whitaker said. Speaking in favor of the bill, Rep. Marcus Richmond, R-Harvey, said all this bill does is make sure Arkansas’s laws are in compliance with federal law. "The law already exists. We’re saying Arkansas, we’re going to follow the federal law. And we’re not breaking any constitutional laws by following federal law, doing what they say and what is already in the books. So I do not buy into that argument," Richmond said. Debate was eventually stopped and the House voted 71-24 in favor of the legislation. It now goes to Gov. Asa Hutchinson who said he would sign the legislation into law. ARKANSAS SANCTUARY CITIES LAW - The Arkansas House has passed legislation that prohibits state municipalities from adopting "sanctuary policies." Legislators voted 71-24 on Wednesday, the final day of the 2019 session.